Maker Faire Orlando is back at the Central Florida Fairgrounds this weekend, Oct. 21-22. The sixth annual Maker Faire Orlando is back again at the Central Florida Fairgrounds and Expo Halls this weekend, Oct. 21-22. This two-day event brings together people who enjoy learning and sharing what they create. Engineers, scientists, artists and crafters all come together to show attendees their projects, hobbies, experiments and more. The first Maker Faire Orlando was hosted in 2012, and was a much smaller gathering at the Central Florida Fairgrounds. After drawing thousands of attendees, the gathering was moved to the Orlando Science Center the following year. 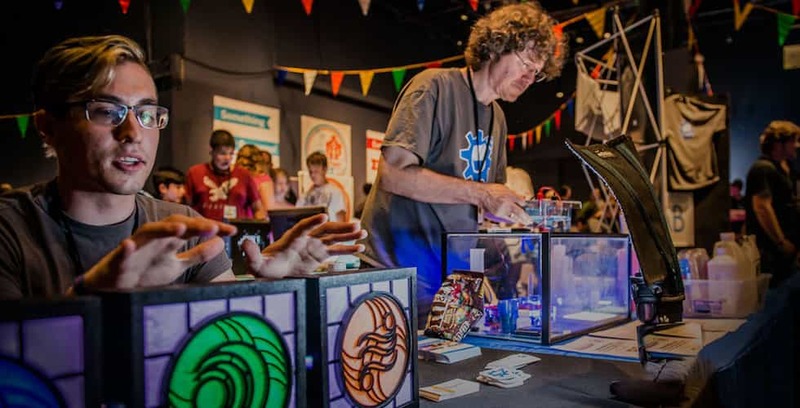 Maker Faire Orlando was hosted there for three years before it outgrew the space and returned to the Fairgrounds in 2016. Maker Faire Orlando will be held on Saturday, Oct. 21 from 10 a.m. to 7 p.m., and Sunday, Oct. 22 from 10 a.m. to 5 p.m. at the Central Florida Fairgrounds. Tickets for the event are on sale now, and can be purchased online. Presale tickets are $10 for a one-day ticket for children ages 4-12, $15 for an adult one-day ticket, $15 for a two-day children’s ticket and $25 for a two-day adult ticket. Tickets purchased at the event are $15 for a children’s one-day ticket, $20 for an adult one-day ticket, $25 for a children’s two-day ticket and $30 for an adult two-day ticket. Tickets for educators and students from Title One Schools are free. For more information on the event, visit MakerFaireOrlando.com.